First a site note: There are many joys to being new parents, however the course of an illness moving from baby to mom to dad is not one of them. We've had a tough February but will try to get back to our regularly-scheduled blogging! 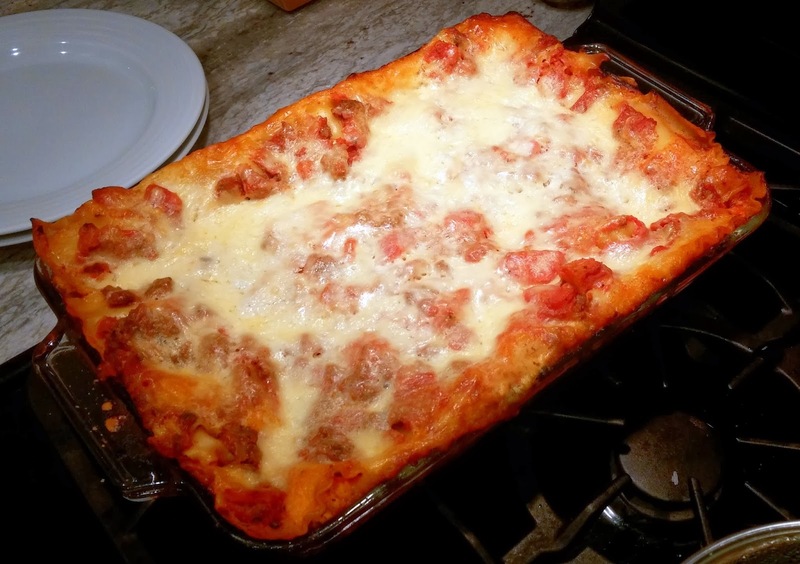 Lasagna is a great winter comfort food. Hot, rich, delicious, and a 13"x9" pan will feed a family for days--or if you've had enough--it also freezes well. Unfortunately, lasagna can take a while to prepare and is not often thought of as a weeknight option. However, I think that's a bad rap. Sure, it's never going to be a 30-minute meal but if you can spare about an hour and a half, you can pull it off. The folks at Red Gold were kind enough to send us cans of their crushed and diced tomatoes. Add some ground beef, ricotta, mozzarella, and the noodles and you're good to go. That's right: six ingredients, plus some salt and grated Parmesan cheese you probably have on hand and you're all set. Just six ingredients is all it takes! 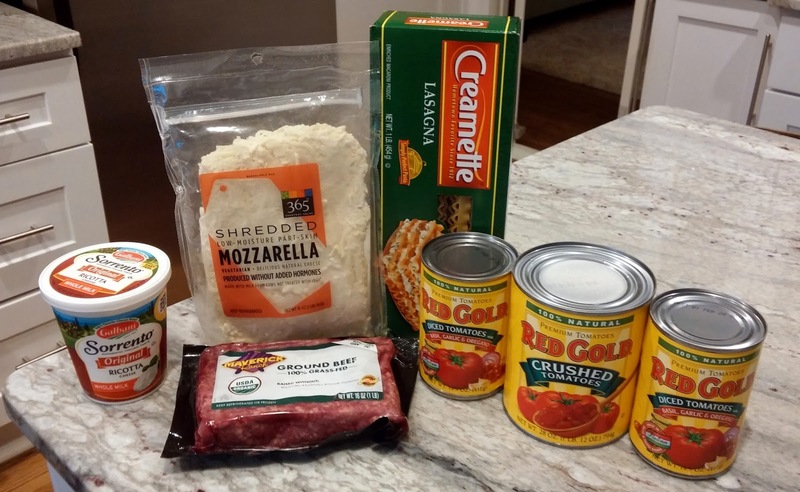 Now the details - below is Red Gold's "Easy Classic" lasagna recipe, and it's just that: an easy, simple, classic lasagna recipe. If you want to incorporate a couple of grandma's secrets, go ahead. Lasagna is pretty forgiving and can stand a bit of tweaking to taste. Personally, I liked the simplicity of the Red Gold recipe as-is, though I think Italian sausage would have given it just a little more flavor than the ground beef I used. -Repeat layers and top with last 1/3 of noodles and remaining sauce. Sprinkle with remaining mozzarella and Parmesan cheeses. results, when reheating the leftovers, make holes in the lasagna with a fork and pour a small amount (a couple of tablespoons total) of milk over the holes, cover tightly with foil, and bake at 350 until evenly reheated (cooking time will vary depending on how large a portion you are reheating).